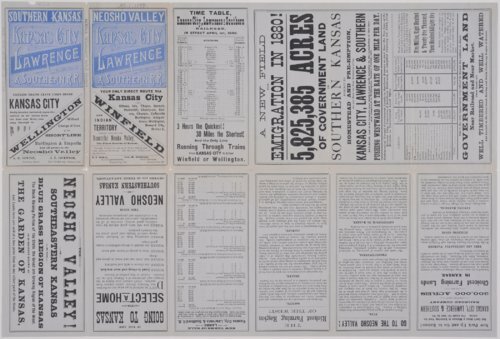 Map and timetable of the Kansas City, Lawrence and Southern Railroad lines in Kansas and neighboring states. The company advertised itself as the shortest and fastest route from Kansas City to Winfield and Wellington. The company also sold acres of farmland in the Neosho Valley.